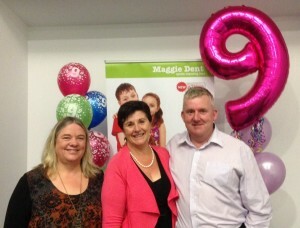 Bold Park Community School is fortunate to have Maggie Dent as our Patron. 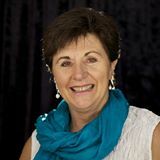 Maggie Dent is an author, educator and parenting and resilience specialist with a particular interest in the early years and adolescence. Maggie first came to Bold Park Community School in 2010 where she felt an immediate connection with our school environment and nature based philosophy. Over the years the relationship between Maggie and Bold Park Community School has grown and in 2012 Maggie accepted our request to become our Patron. Maggie’s passion for the healthy, common-sense raising of children in order to strengthen families and communities resounds with the philosophies of Bold Park Community School. From the very first visit to Bold Park Community School I was excited and impressed with the massively engaging approach to learning, the highly professional and innovative pedagogy and the strong and respectful partnership that exists between parents and staff. I continue to feel this way whenever I visit and see students so involved in an enquiry model of learning from and with the natural world, as well as a highly integrated curriculum that embraces the utilisation of technology. In 2014, I opened the Writer’s Hub that stimulates and embraces the art of the written word in all it’s possibilities and as a former English teacher, this was another golden moment to celebrate in the evolution of Bold Park Community School that I am very proud to serve as its Patron. Maggie Dent: Author, parenting and resilience educator. Author of “Saving our Children from Our Chaotic World”, “Nurturing Kids’ Hearts and Souls”, “Real Kids in an Unreal World”, “Black Duck Wisdom”, “Saving Our Adolescents” and (pictured here with Gillian at Paul at the launch of her most recent book) “9 Things: A back-to-basics guide to calm, common-sense, connected parenting birth-8”.